Do you miss the "Save as" command in recent versions of MacOS? 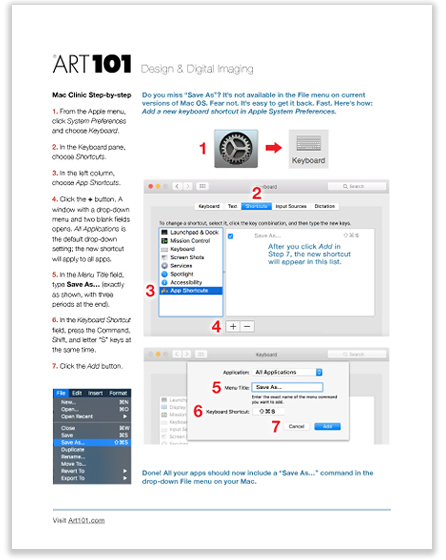 Get it back fast with this handy Mac Clinic Step-by-step from Art101. More tips will be posted soon. Questions? Ideas? Contact Art101.